Posted on December 21, 2017 at 7:30 am. 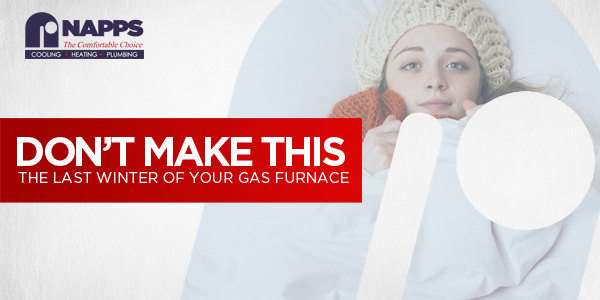 When it comes to heating your home, you can count on your gas furnace. But just like all other appliances in your house, it can also let you down. It’s too early to lose your unit so be sure to have these important procedures done at a regular basis. Find leaks and seal them. If you’re going to do this yourself, you need to be extra careful and ensure safety before starting to take the maintenance job. Switch off the power supply and don’t go near the area where you suspect gas leaks. This is very risky so if you’re not sure of the procedure, it would be best to hire a licensed technician to do the job. Have a regular air filter replacement. Clean air filter is one of the major necessities of your gas furnace. There are some which only needs to be cleaned but there are also those which need to be replaced. Dirty filter causes your unit to work harder which leads to overheating and eventually system failure. You can do air filter replacement and cleaning yourself so it won’t cost you much to keep this component maintained. Dirty ducts truly bring trouble in your furnace and even greater discomfort in your part. Be sure to keep your furnace clean but since new ones are sealed, you need to conduct a rigorous cleaning. If you want a complete and safe furnace cleaning, hire an expert to do it. Increase the efficiency of your unit. You can start by sealing air leaks especially in the basement and attic. Leaks strain your system and make it work at longer period of time. You can also invest on programmable thermostat to keep just the right heating that your home needs and to reduce utility cost. Also, have an expert examine if the ducts are properly sealed and insulated. Schedule a regular furnace inspection. Nothing beats being proactive in your heating system, especially your furnace. Regular furnace inspection can help find those small glitches so you can provide necessary solution before they bring major issues in the unit. Better get your furnace checked by professional HVAC technicians to ensure accurate service and results. These tips can help your gas furnace last longer than what you expected. 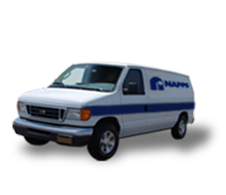 If you notice early signs of problems, feel free to call the professionals at Napps Cooling, Heating and Plumbing and have the issue solved.